Both the new features, consecutive playback of voice messages and Group Call Shortcut, are said to be currently under beta testing and could be remotely enabled in the next beta update. 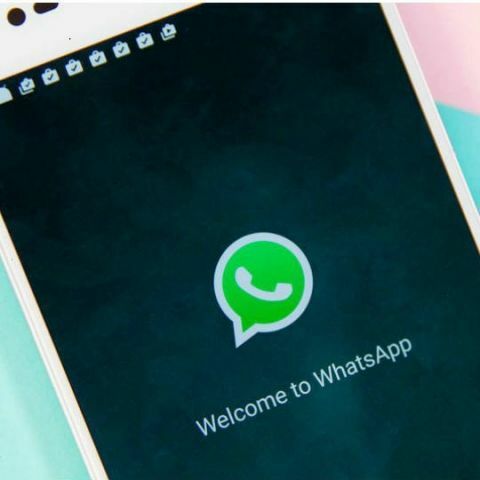 WhatsApp keeps adding new features to its online messaging app to enhance its usability and the company is reportedly working on two new features that could soon make way to the app. As per WABetaInfo, support for consecutive playback of voice messages, and Group Call Shortcut are currently under beta testing on the Android version of the app. Both the features were previously spotted on WhatsApp for IOS in version 2.18.100 and 2.18.110.17 updates respectively and could soon be made available for all, since they are said to be undergoing testing on Android. Do note that both the features are currently not available on the app, not even for beta testers of the app, and are said to be remotely enabled in the next beta update for the app. As per the report, the Consecutive voice messages feature will enable users to listen to all received voice messages in succession. This means that one won’t need to tap on every voice message to hear them as the app would automatically do this for the user. The feature is said to kick into action when someone receives two or more voice messages and when the first voice messages are played. Additionally, the feature is also said to notify the user when a voice message ends and the next one begins. This will reportedly be done by playing two different tones, where the first one means that a voice message has been fully played but there is another one ready, and the other one will mark the end of the voice message when there isn't a next voice message to play. Coming to the group call shortcut feature, it is said to work in a similar manner as it does on iOS. A new group call icon will show up on the upper right corner of the screen from where one will be able to initiate a group call. After tapping on it, the user will be shown the contacts they want to start a group call with and one can select to either place a group video or voice call. This will make it much easier to place a group video call as currently, one needs to place a normal video call first and then add other people to the call using an option on the upper right corner of the screen. Speaking of the group calling feature, a recent report suggested that WhatsApp is testing UI improvements in the Group Calling feature in the iOS app. The app could soon get a new call button as part of the revamped UI, along with some bug fixes. Those users who have beta versions of the app installed on their phones can test the new button. 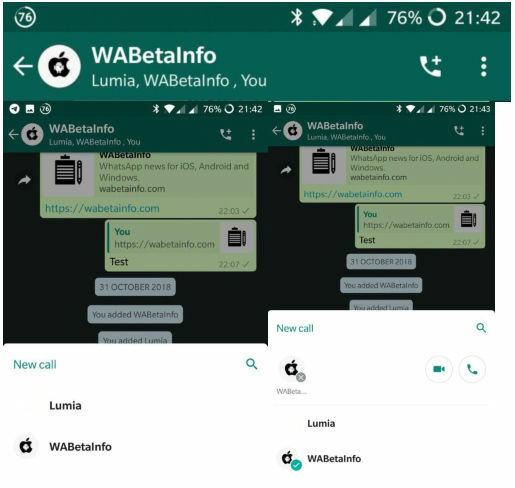 When the new button is tapped, WhatsApp is said to present a list of all possible participants in the group with whom a user can initiate a call. However, as only four participants can be in a group call, a user can only select three others. You can read more about the new feature here.